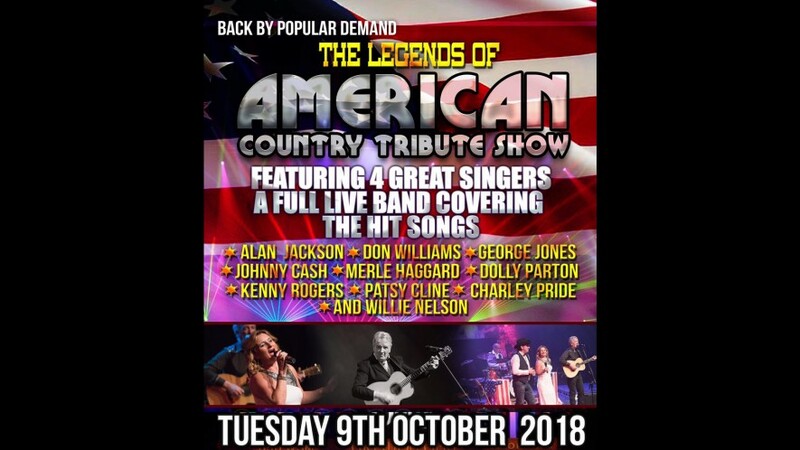 Due to the ongoing restrictions around the theatre caused by the major fire in Glasgow city centre, Legends of American Country Tribute Show has been rescheduled from Friday 1st June to Tuesday 9th October 2018 @ 7:30pm. Back by popular demand, Europe’s number 1 Country Music show returns for a fantastic night of American Country Music featuring all the hits from Johnny Cash, George Jones, Dolly Parton, Charley Pride, Kenny Rogers, Patsy Cline and Willie Nelson in a must see show that will take you to Nashville and back in one night! GREAT SHOW IRISH BAND VERY GOOD, JOE MOORE SINGER WAS GREAT ,BRING THEM BACK AND LET ME KNOW WHEN.